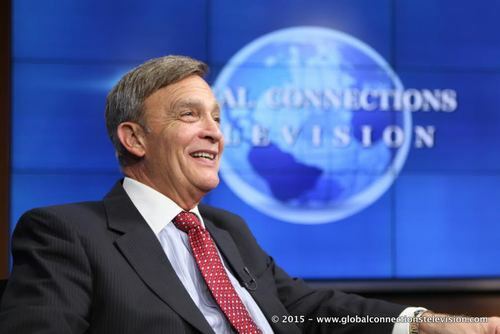 Global Connections Television (GCTV), the only talk show of its type in the world, has featured a myriad of guests ranging from leaders at the UN to the private sector to academics to non-governmental organizations. International relations specialist Bill Miller discusses world events with experts from various fields every week. All videos are made available for download in High Definition at no charge. UNA-USA Board member Bill Miller interviews journalist Nick Clooney, Darfur advocate. Topic: Nick and George Clooney in Darfur. Bill Miller worked with the Kentucky Legislative Research Commission (LRC), which is the bipartisan staff for the Kentucky General Assembly, from 1977-1999 primarily as a Federal/International Relations Specialist and Assistant Public Information Officer. For example, polls show that Americans and many people worldwide are less aware of the importance of international affairs and governmental programs on their lives and are less informed about how to positively impact international problems that have local implications. Is your institution looking for a supplemental course to your curriculum on international public administration, international relations or global governance? If so, you may want to use the following as a prototype. The model and curriculum were independently developed by Professor Bill Miller. This is a public administration-international relations course offered at Kentucky State University's Graduate School of Public Administration titled “International Organizations: Focus on the United Nations and International Public Administration."